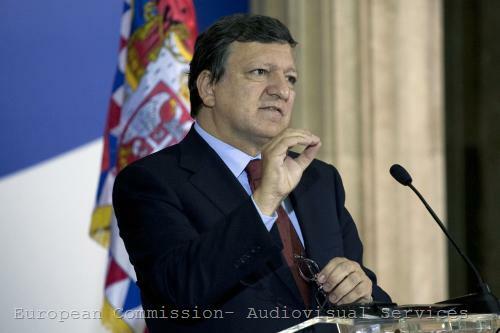 Against the backdrop of statements about a possible partition of Kosovo, European Commission President Jose Manuel Barroso visited Belgrade and Pristina on May 19-20th to voice the European support for the local authorities. His message to Serbia and Kosovo was more than clear - further economic and political reforms are needed as well as a resolute fight against organised crime and corruption. 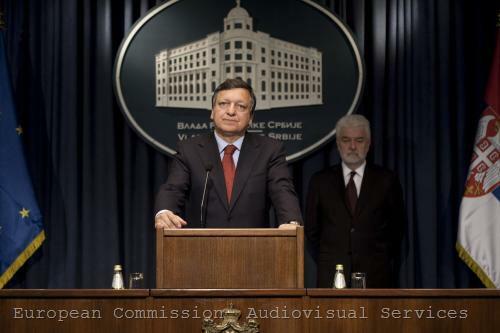 Barroso warned the Serbs that the time was running out but the key was in their hands and they should demonstrate tangible results regarding implementation of EU-related reforms. 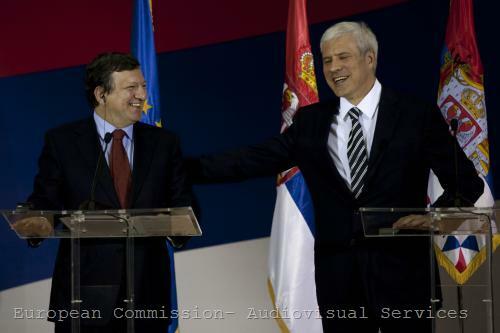 Serbia should prove it is cooperating fully with the International Criminal Tribunal for the former Yugoslavia (ICTY) in order to get an EU candidate status. This cooperation, however, may prove to be a stumbling block in achieving the strategic foreign policy goal of the country, as according to leaks of the report of ICTY chief prosecutor Serge Brammertz, his assessment will be negative. Although some EU officials have hinted that Serbia could get the status even without the arrest of former Bosnian Serb military commander Ratko Mladic, the country will have to demonstrate will to detain him. In Pristina the EC president reaffirmed EU's commitment to the European perspective of Kosovo and said the bloc would keep on helping it on its way towards Europe. 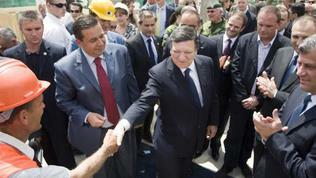 As a proof for the 27's good will Barroso pointed out the fact that Kosovo was the biggest recipient per capita of EU assistance in the whole world. He recalled that more reforms were needed in the public administration, strengthening the rule of law and the economic programme. Commenting on the Belgrade-Pristina dialogue, he estimated that it was high time for the politicians from the two sides to work together and find solutions to the daily problems that both Serbs and Albanians are facing. While the delegations of Serbia and Kosovo are discussing purely technical issues in the EU-brokered dialogue, voices in Serbia have been raised in support of the idea of a possible partition of Kosovo as a solution to the status of the breakaway southern Serbian province. The idea is not new, as Serbian President Boris Tadic mentioned, recalling that it dated back to the 60s. 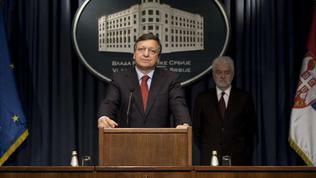 The novelty here is that the idea comes from a senior Serbian official. Furthermore this politician - Ivica Dacic - is a deputy Prime Minister and leader of one of the partners in the ruling coalition. The leader of the Socialist Party of Serbia brought the idea publicly in an interview with Pristina-based Zeri daily and repeated it afterwards in Belgrade with some clarifications. Taking the risk to be stigmatised by most of Serbian politicians, as they would never admit such a possibility, Dacic said that setting a demarcation line between the territories where Serbs live and the territories where Albanians live, would be the only viable long-term option for Kosovo. 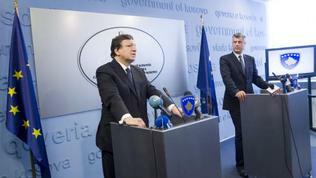 In his words, having in mind the current situation, it is not realistic Kosovo to remain a part of Serbia. As the Deputy Prime Minister noted, the majority of Serbs were realising that this was the only possible solution after Belgrade lost control over Kosovo in the 90s. The truth is that Kosovo's independence could hardly become a reversible process considering the fact that Pristina has such a strong supporter as the US. If we add the fact that 22 out of the 27 EU member states have already recognised the new state, the arguments in support of the conclusion that Serbia should look for a more flexible solution to the problem are increasing. The ongoing dialogue covers only technical issues but Belgrade does not exclude the possibility to discuss, eventually, political topics. The head of the Serbian delegation Borislav Stefanovic believes that the North Kosovo issue is an inevitable topic of the discussions. 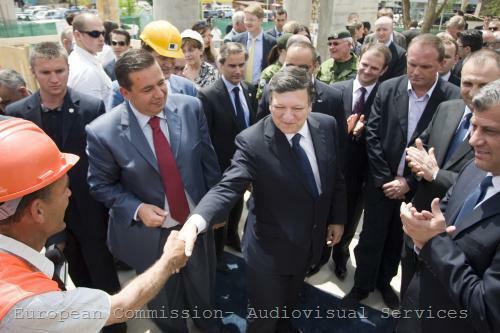 The institutions in Pristina are failing to put the North under control, which is mainly populated by Serbs, and which is still loyal to Belgrade and refuses to recognise the authority of Kosovo institutions. Edita Tahiri, head of the Kosovo delegation, rejected the idea of partition of Kosovo, as posing risks for the regional stability. Washington has also voiced opposition to such an option. 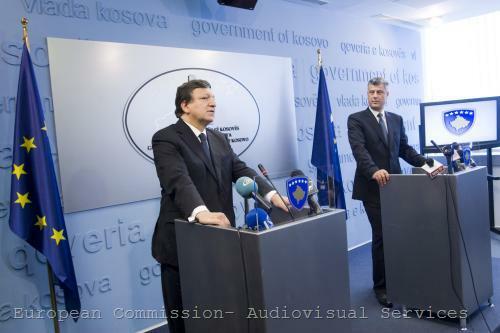 During his visit in Belgrade the EC president said that recognition of Kosovo is not a precondition for Serbia's EU membership. 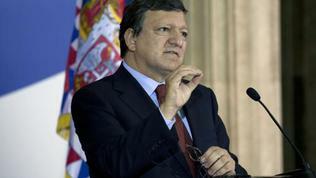 Brussels, however, has repeatedly stressed that Belgrade should "normalise" its relations with Pristina. It's worth recalling that regional cooperation is among the key political criteria for membership, that will be taken into account while assessing Serbia's bid to obtain a EU candidate status.